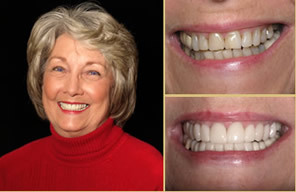 At Atlanta General & Implant Dentistry we offer a full array of cosmetic services including, but not limited to, porcelain veneers, porcelain crowns, and bleaching. All restorations are made in our in-house lab by our extremely competent dental-lab technician. 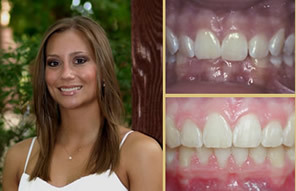 Although porcelain crowns and veneers can be beautiful and appear very lifelike, they are not the strongest restorations we can place on teeth. Dr. Pratt often suggests placing gold restorations on back teeth, or 'second molars,' when a crown is required, since they are not commonly seen when a patient smiles or laughs and yet they must withstand more biting force than any other teeth in the mouth. 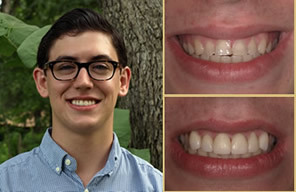 Dr. Pratt has often observed gold restorations that were fitted more than seventy years ago by the late Atlanta dentist Dr. Andrew Jordan, and these gold restorations look as new as the day they were placed. This cannot be said for any other restorative material in use today.